Britain is still coming to terms – and contesting – last June’s decision to leave the EU. Wyndham Wallace considers the devastating implications the referendum could have on the country’s musical life. 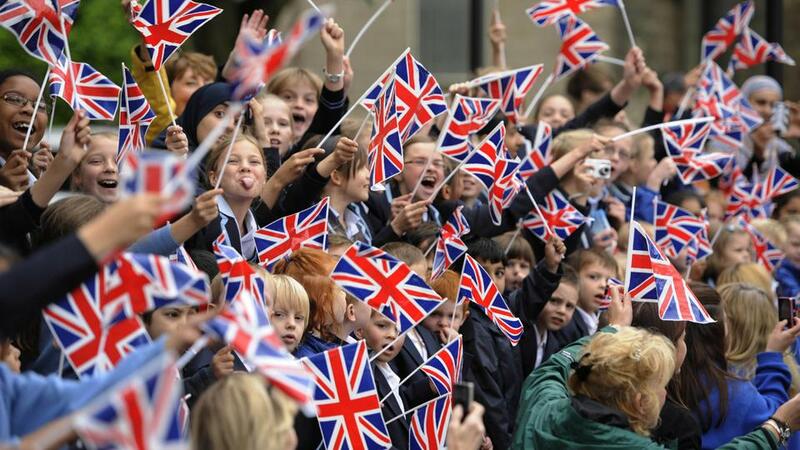 In 2016, how many of these faithful citizens contemplated those self-congratulatory words closely enough to recognise the incongruity between them and the ramifications of the recent EU referendum? Quite apart from the fact that Britons have a track history of trading in slaves rather than becoming them – one of many details that jingoistic islanders choose to overlook when revering their homeland –, the truth is that to rule the waves, one must sail the waves. The referendum’s result – or at least the interpretation that “unelected” Prime Minister Theresa May and her perversely obstinate cronies have adopted – insists that Britain will instead utilise the “English Channel” (a phrase whose pretence at dominion says so much about how the country views itself) much as Donald Trump intends to build a wall: to keep “others” out while restricting opportunities for its own citizens to leave – temporarily or otherwise. In pulling up the drawbridge over this 33-kilometer moat, the idea of “British jobs for British workers” may mean that British jobs are in fact the only option for British workers. In terms of the country’s culture – and its enrichment – this could prove disastrous. Since 1957’s Treaty of Rome, Britons have been able to travel freely throughout the European Community as they would at home, thereby dramatically increasing the size of their potential market. Traditionally, people have thought of this as merely offering the chance to conduct business or take holidays, but it’s brought with it opportunities for significant cultural exchange. Musicians need to earn money just like everyone else, and for well over half a century they’ve been free to work wherever they choose and to perform wherever they can fulfil a booking. They travel across the mainland, their passports tucked away as they journey from Calais to Constanta, from Lisbon to Tallinn. There are no border controls, no customs officials, no foreign taxes – thanks to mutual tax agreements across the continent – and no work visas. Even their health insurance is covered. Now, however, all this is at risk. For musicians, especially at the start of their career, the economic ecosystem in which they operate is a fragile one, and never more so than in recent years. Since the advent of the Internet – and with it illegal downloading, then streaming – income from sales has been decimated, and the chance to make music has consequently become a luxury affordable only to the financially secure or reckless. For a while, any shortfall could at least be partially compensated for by an increase in touring: bands took to the road to earn concert fees and sell merchandise. These days, however – with established bands able to command higher and higher payments now that promoters have become wary of taking risks on unproven acts – this, too, is something of an indulgence for newcomers. Increasingly, they struggle to pay their way around Europe as they refine their craft and build an audience. By the time they return home, new acts – even those willing to sleep on floors and drive in battered, antiquated vehicles – have little guarantee they will be anything other than skint. But it’s about to get even worse, because even the touring option may soon be off the table. If the British government continues to pursue its proposed, self-destructive policies – demanding that only those with confirmed qualifications (and already enough wealth that they won’t be a drain on the country) be allowed to work within its borders – it appears increasingly likely that the same will be demanded of its own citizens elsewhere. Musicians, even if they are starting out for the first time, may require visas, which cost money and require time. They will require accountants to navigate bureaucratic red tape so that taxes on fees and merchandise are handled appropriately. They will have to prove they have no intention of staying, or that they can support themselves if they do. Costly “carnets”, which record the transportation of equipment across borders, may also be required for every country, every time, just as they’re currently for entry into – and departure from – Switzerland. For many fledgling musicians, paying their rent is hard enough. Even for those able to claim back taxes, or bankroll their travel, the short-term cash flow implications could be fatal for their monetary health. Any British musician who has attempted to perform in the US will know how prohibitively complicated, costly and time consuming it can be to arrange legal entry to America, before they’ve even stepped foot inside its borders. This process was made more expensive still on December 23rd, when prices for an American Non Immigrant Worker Visa application rose 42 percent from 325 dollars to 460 dollars. That price is per person, and for bands employing a tour manager, sound engineer and other technicians, such costs will swiftly accumulate beyond any reasonable hope of recoupment. Until Brexit, at least, musicians will have the opportunity to travel beyond their own backyard and find fans of their work in each of the 28 countries of the European Union. Instead of 64 million people, they’ll have a potential audience of 508 million. But how likely is it that this will remain practical once Britain has withdrawn from the EU? Quite apart from these probable restrictions on British musicians’ movements, Brexit will most likely make it similarly hard for non-British artists to perform in the UK. “British jobs for British workers” may not just apply to Polish plumbers: it could mean that British venues may end up only for British musicians. The chances of the next krautrock or French Touch movement making its way legally through the Channel Tunnel will be significantly reduced. Just as social media – intended to open up the globe to everyone – has reduced us to an existence within an echo chamber of limited horizons, so Brexit will ensure that the country’s exposure to fresh manners of cultural expression will similarly, inevitably, become narrower. The endless uncertainty isn’t helping. Britain’s International Development Secretary, Priti Patel, stubbornly suggested in October that for the British government to reveal its negotiating position would be analogous to showing its cards in a round of poker. While she’s busy casually implying it’s all a game to her government, this means no one outside of Whitehall knows what lies ahead, at least for the next two to three years. (That’s the minimum time it will take, and most analysts – including the former UK Ambassador to the UK, who resigned at the beginning of 2017 in frustration – suggest at least a decade will be required to prepare the requisite trade agreements.) How can British managers, record labels, promoters and musicians budget amid such confusion? Sure, just as always, no teenager will think twice before picking up a guitar and forming a band. But when they consider whether they can make a living from music, they may wonder if it offers them any future at all. While it was tough to make a living before, it’s about to become even trickier. Another likely casualty will be musicians who depart British shores in order to settle temporarily somewhere cheaper. The UK has become famously expensive, and for artists with precarious finances it’s nearly impossible to survive when rent alone is barely affordable. Consequently, for decades musicians have settled abroad in cities like Berlin while they find their voice, out of the spotlight, before returning, victorious or otherwise, to reap the rewards (or penalties) of their work. Will others in the future be able to follow their example? Will those already there be able to stay? No one knows anything, except that – on the bright side – sterling’s growing weakness may soon mean that, with the two currencies increasingly equal, Britain will have joined the Euro Area by accident. And while London may become more affordable if countless businesses abandon the city, current exchange rates have rendered British savings less valuable abroad, making it even harder to leave the country. Brexit, of course, hasn’t happened yet. For many British citizens, that two percent difference between the “Brexiteers” and the “Remainers” is simply not enough to justify what appears to be a sociopathic rush in the dark towards a cliff. A legal challenge is currently going through the High Court – though any decision, due by the end of January, is likely, at best, to ensure the necessity of parliamentary approval for whatever deal emerges – and the collapse of the pound, a wave of racist attacks, the growing regret of those who voted to “Leave”, the threat to the Union posed by a potential second Scottish referendum, and the bitter infighting within the governing Conservative party may force a rethink, especially given the hard line adopted by EU leaders towards negotiations. 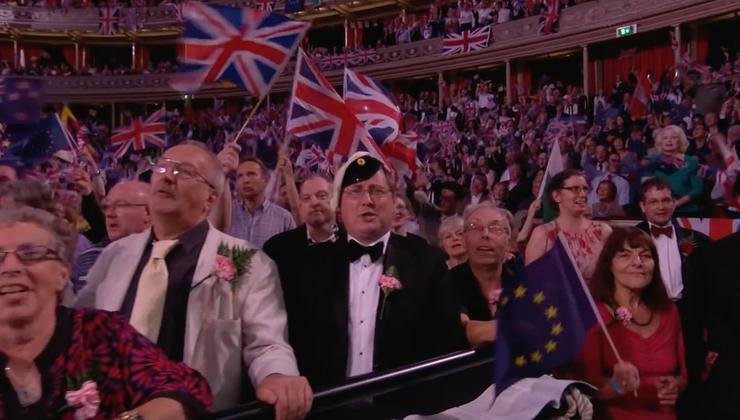 At 2016’s Last Night of the Proms, countless EU pennants, paid for by anti-Brexit campaigners, were willingly adopted in place of many of the Union flags at what is generally considered one of the most patriotic nights of the social calendar. One, indeed, decorated the conductor’s stand. For a good hour, Britain’s most distinguished concert hall stood as a metaphor for the country itself, divided in two: those who believe that – following the recent decision to “take our country back” – the UK has never had greater cause to be proud, and those who believe it was an isolationist, irrational, suicidal decision. Everyone there, of course, was united by one thing: that the event was a tremendous occasion. Patriotism can blind anyone to anything, including the fact that passports are nothing more than accidents of geography, a truth half of Britain currently seems so determined to resist that they are busy stabbing themselves in the eyes with whatever implement they can find. Maybe, given the direction in which the UK is headed, that’s just as well. Perhaps, however, they should stab themselves in the ears too. Thanks to Brexit, the country’s citizens may have to get used to the idea that, in the “fortress of the free”, British culture may soon be all that’s left to them. It’s unlikely this is the “quiet life” anyone voted for.